Kununurra Lakeside Resort is the ideal place to unwind after a day of adventure in the Kimberley. Our facilities are modern and comfortable - all rooms have queen size beds, air-conditioning, tea and coffee making facilities and full en-suite. Watch the sunset over the lake or indulge at our al fresco Sails Bar & Restaurant. Take a walk after dinner to the lakes edge and see if you can spot the abundant crocadiles hidden amongst the water lily. Our motel rooms are available in doubles or twins. 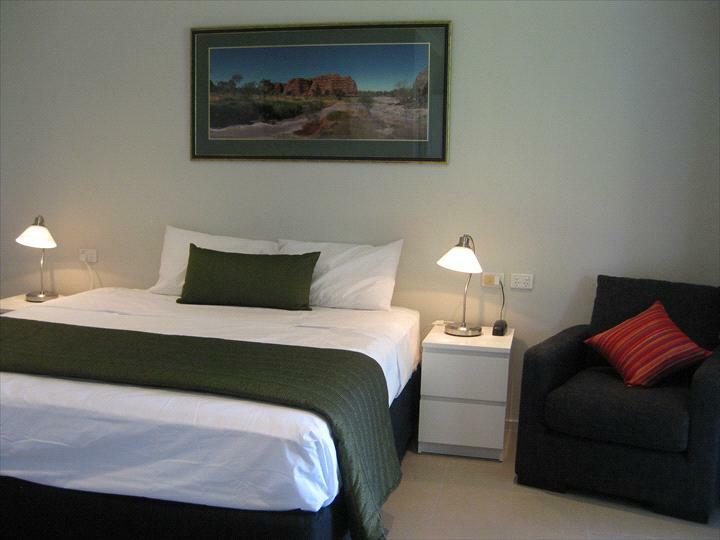 All rooms have an en-suite, air-conditioning, TV & DVD player, some overlook the stunning Lily Creek Lagoon. Continental breakfast included in tariff. Children 0 to 15 years free of charge. Our Self Catering rooms are available in doubles or twins. All rooms have an en-suite, air-conditioning, TV and also feature a small kitchenette. All rooms are located near our grassed BBQ area. Our cancellation policy is 24 hrs.